Changes are afoot at MacArthur BART station. On June 18, the transit agency broke ground on a mixed-use development project called the MacArthur Station Residences. Once complete, the complex with 402 apartments and 13,000 square feet of retail space will become the tallest building in North Oakland. 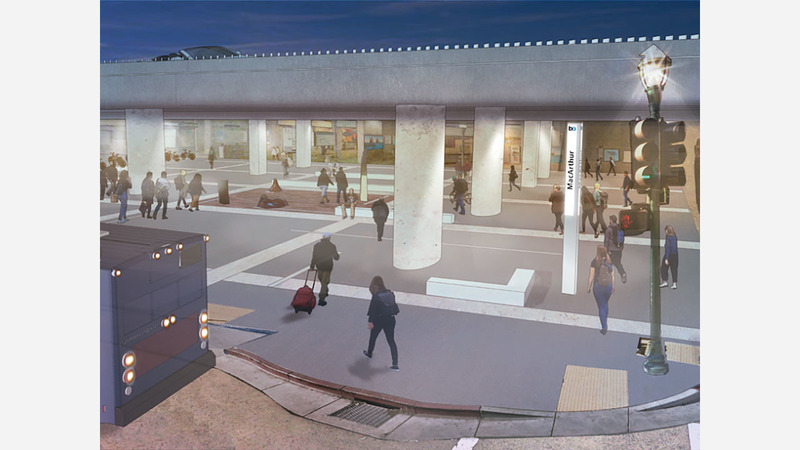 To accommodate passengers, BART will redevelop the plaza to connect foot and bicycle traffic to nearby businesses and adjacent transit lines. Slated changes include a new self-park bike station, the removal of bulky landscaping planters, new flooring, improved lighting, relocation of public art to improve circulation, along with new seat walls, benches, and security cameras. 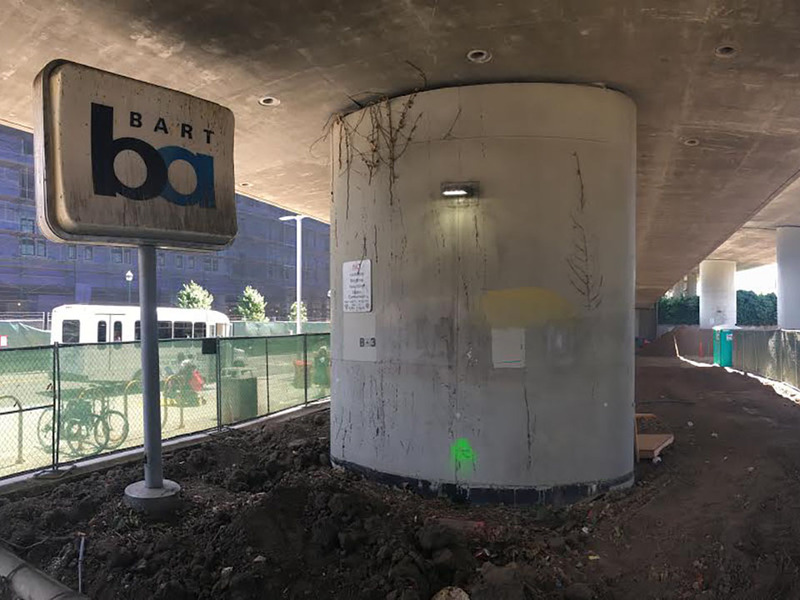 "The upgrades will make the plaza more aesthetically pleasing, modern, easier to navigate (decluttered) and brighter," said BART spokesperson Anna Duckworth via email. According to Duckworth, the changes are needed to accommodate both a real and projected increase in ridership. "The number of BART patrons that use this station continues to grow," she wrote. "The 878 high-density residential units that are either in construction or recently built on what was once largely surface parking will also result in increased BART ridership." Portions of the plaza are fenced off during this first phase of construction, which includes a temporary pedestrian path that permits access to fare gates. BART staff will relocate the station's bike racks and lockers to the north side of the plaza, but bus, taxi, and passenger pick-up/drop-off activity will not be affected. During the second phase, when workers remove existing flooring and pour new concrete, BART will create a covered walkway for pedestrians and reroute shuttles to the access road closer to the nearby garage.The work is expected to last until the end of 2019, but readers can follow the project's progress by visiting BART's transit-oriented development webpage.